Tuesday was a busy morning for us here at the Kohelet Yeshiva High School. We were privileged to have both Rav Ari Waxman, Menahel of Yeshivat Sha'alvim, and the Bostoner Rebbe of Yerushalayim join us for davening, both of whom were slated to speak afterward to our students. Little did our students know that the most inspiring speech they'd hear that morning was going to come not from one of those esteemed Gedolei Torah, but from one of their friends - an incredibly brave student with an incredibly important story to tell. I'm sure many of you have wondered where I have been these past few weeks. To answer that question I must rewind to a little over a month ago. Over the weekend before we returned from Winter Break I began to feel guilty because I had lied to numerous amounts of people including friends, family, and even strangers. I lied about academics, ACT scores, colleges, wealth, and more. As the guilt began to eat away at me, I began to feel worse and worse. I told my mom that I needed to see a therapist as soon as possible. She made me an appointment for the following Monday. Following my meeting with the therapist she recommended that I see a psychiatrist at Lankenau Hospital as soon as possible. After being evaluated by the psychiatrist, she recommended that I go to Belmont health facility's inpatient program for adolescents. The program was 24/7 and I wasn't allowed to have any electronic devices. That night after being discharged from the hospital my mom drove me to Belmont and I was checked in that night. The following day I met with mental health professionals, they diagnosed me with depression. In order to combat the depression the psychiatrist prescribed me with antidepressants. While at Belmont I participated in group therapy sessions with other kids that also had mental health illnesses. After spending eight days at Belmont my psychiatrist, my family, and I decided that I was ready to be discharged. Following discharge I had the next few days during our mid-winter break to make up work and prepare myself to return to school. Over that week I began to develop several of the side effects of the medications I was taking, which included abnormal dreams, broken sleep, random nose bleeds, sudden mood changes, and negative thoughts. The Tuesday after Martin Luther King day I returned to school. When most of you asked me where I was, I responded that I was in the hospital and sick with something personal. This really hurt me to say because I wasn't lying but I wasn't telling the full truth. The combined stress of returning to school, not telling the full truth, negative rumors and the side effects from my medication put me into a state of deep depression. Negative thoughts were flying through my head and that night my family realized how bad my depression had become. They quickly took me back to Lankenau Hospital to see a psychiatrist. Following my evaluation with the psychiatrist he gave me the option to return to Belmont or try an adolescent partial hospitalization program at American Day Health Center. The following day I saw a private psychiatrist that recommended that I be taken off of the antidepressants. Over the next few days the side effects slowly stopped and I began to feel better. That next week I attended American Day from 9:30-3:00 Monday through Friday. While there for the past 2 weeks, I participated in group therapy, learned positive coping skills, and prepared myself to return to school. I will be returning to American Day tomorrow for my last day and I'll be back in school on Thursday. Now I don't just come to speak to you all today just to tell my story but also to stress the importance mental health awareness. According to the CDC approximately 8% of 12-17 year olds suffer from depression and approximately 10% suffer from anxiety. I'm here to tell you not to be afraid or shrug off any emotions of anxiety or depression but rather to take a small step and talk to a trusted friend or adult. I'm so glad I was able to speak up and get the help I needed. 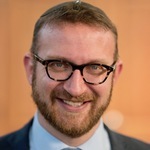 I want to take this time to thank Rabbi Perl, Mrs. Perl, Dr. Rogers and the rest of the administration for being understanding and caring in the past few weeks. I also want to apologize to all of you for lying merely to gain a positive reaction and I hope you can all forgive me. Lastly I want to leave you all with this: When we don't understand something we tend to make light of it and we need to be mindful that on a day-to-day basis we don't know what's going on in each other's minds. Thank you. I had a chance to talk to both of our rabbinic guests later that morning. While I genuinely thanked them for taking the time to come and speak to our Kohelet students, they were even more effusive in thanking me for the opportunity to hear one of our Kohelet students speak to them.